This is one topic which I’ve wanted to share with my peers for some time now. There has been wide spread uncertainty in how one should go about pricing for their professional skills as a photographer. However, many years of working in tandem with photographers across India and having worked in the industry of stock photography for a good long while, I have managed to gain some valuable insights in this subject. It is important to arrive at a standard pricing structure which the photographic community should religiously take note to ensure that photographers are not taken for a ride by clients who say – ‘this time budgets are seriously low’, ‘let’s start with this one and gradually can aim at bigger ones’, ‘there are many others who are quoting far lesser’ etc. In India, the list of reasons leveled by clients which pressures photographers to quote less have gone up. It is important that the community of professional photographers stand unified in this matter and our industry definitely need a non-profit trade organization to safeguard these interests. The so called threat of competition from other emerging photographers and the fear factor on the prospect of losing out on a potential job is making photographers willing to give up their rights. No one gives a dime for copyright and usage related matters. It is important for photographers to know their rights and the many reasons which individuals and brands frame to take advantage of him/her. Although it is allowed to be flexible in terms of rates and rights, being ignorant of them can push one to be foolish. 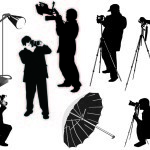 Professional and Top professional photographers depend on photography to make a living. They are skilled craftsmen/women who are specialized in specific genres of their craft. They form the cream or the elite who are the go-to-source points when a client or an ad agency or a publication has an important project or story to convey/tell to their select audiences. Professionals and Top professionals are approached when the clients need high-quality images and when the branding and reputation of brands depend on the quality of visuals produced through such skilled photographers. They are essentially low-risk photographers who can be trusted with projects which are crucial to speak the language intended to communicate to audiences. Notes: Other cost factors like rental for Medium Format Camera, rental for lights, working wages for lightmen, cost involved for crew travel, F&B for photography & technical crew, accommodation and airfare (if domestic or international travel involved) etc should be additional cost factors and none of these cost factors should be absorbed in the creative fees. Do take special note that usage rates/licensing fees is involved depending on how client/brand intend to use the images and also based on the duration for which the client/brand wants to use them. The business of professional photography in India should clearly be a ‘licensing business model’ and this is a practice which has been running globally for more than 175 years. 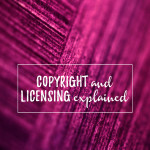 I will be soon writing a separate article on Copyright and Image Licensing based on usage and duration. However, it should be noted all the above mentioned rates are for a standard 1 year usage for national distribution only. Notes: For editorial assignments, the only cost factor which should be part of the creative fees is perhaps the rental cost of the camera used by the photographer. The fact that I have indicated, post production cost separate may irk many but honestly, this is a cost factor which is definitely eating into the finances and time of photographers as most of them depend of third party post-production specialists or in-house teams to do this aspect of the job. Often times, to contain this cost in the creative fees would mean working for free or loss for the photographer involved. Other cost factors like rental for lights, working wages for lightmen, cost involved for crew travel, F&B for photography & technical crew, accommodation and airfare (if domestic or international travel involved) etc should be additional cost factors and none of these cost factors should be absorbed in the creative fees. Lights used by photographers would vary based on assignment requirements and personal styles. Different lighting kits and light shapers belonging to companies like – BRIESE, BRONCOLOR, PROFOTO, ELINCHROME, ARRI etc do exist in India. At times these are owned by the photographers or are hired from equipment rental outfits. Either way the cost for lights are again which should never be offered as part of one’s creative fees and should be always charged separately. Professional lights do have shelf life and most of them has to be upgraded every 1-2 years and hence recovery of ‘cost of investment’ for lights can be made possible only if appropriate rental for those units are considered. Why are professional photographers in India expensive? A professional photographer get’s an average of 3-8 assignments in a month and most of his/her time goes into pre-production, assignment hours, editing and post production. Unlike any other profession, a photographer’s role involve multi-tasking into various aspects of the job. Being in the profession of photography is by no means a cake walk but rather for the photographer it is an expensive career option. Photography Equipments are not cheap. Cameras, Lighting, support equipments and softwares are upgraded every few years. Professionals must also invest in their portfolio updates, marketing and advertising to ensure that they remain in contention at all times. Other expenses like cost in running a studio, managing crew members and running a business should all be factored in. Also when compared to other European and Asian Countries, the above mentioned rates are still comparatively cheaper and hence the argument that professional photography fees of Indian photographers is more of a myth than truth. 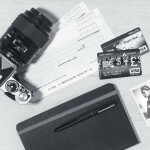 As a photographer, how much should I earn annually? What all are my annual fixed costs and other expenses to be in the business of photography? Do I have a Marketing Budget and marketing plan to promote my skills? How many average assignments/ working days do I realistically envision for the year? Apart from work, what are my free-time plans for self, with family and with dear ones? The indicative costs and reasoning mentioned in the above article are purely my personal opinion and should not be considered any sort of industry standard (which I would be happy if it takes the shape as one). The purpose of this article is to open door for more dialogues and debates on this topic.